Logins this hour: 25871 ? Scheduling, your way. 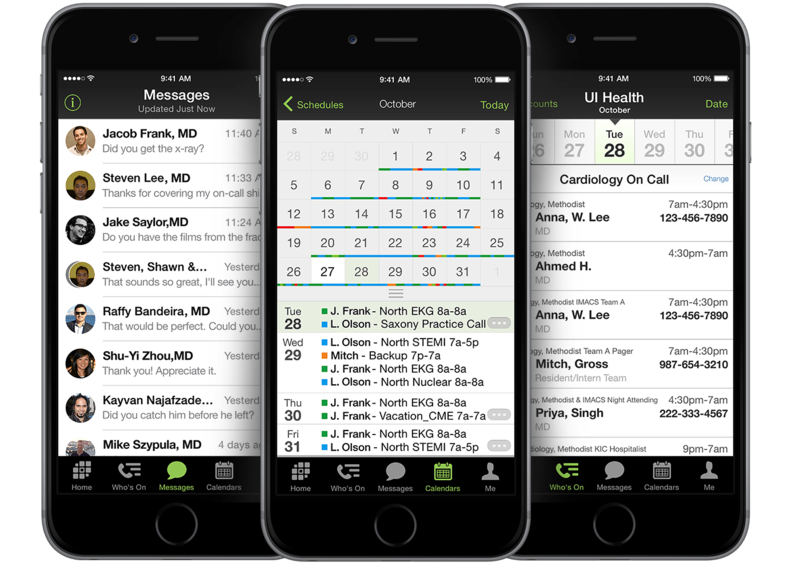 Amion handles all medical provider schedules, small to large, individual groups to entire hospitals and multi-site systems, ERs to inpatient units, nurses to attendings, and more. We're the only service with a custom scheduling model for residency programs and fellowships. Join your colleagues We manage more schedules than all the other services combined. That includes dozens of complete hospital systems, hundreds of whole hospitals and over 10,000 individual groups. Amion will work for you! Make it automated! Amion is packed with power tools. Build your own rules, templates, layouts. Trade shifts. Sync personal schedules to online calendars. Fill your schedule automatically around special requests. Connect 24/7. Reach on-call providers day and night. Designate staff to make last-minute changes online. All data flow from Amion to mobile devices through online calendars and the Amion Mobile App. We integrate with many other services too including TigerConnect, PatientSafeSolutions, and more. Big Schedule. Small Price. Affordable and efficient, Amion is just $349/year for any size group or residency. No hidden charges. Amion is at your service for one low price no matter how many schedulers or viewers. Proven. Trusted. Secure. Over 250,000 providers view personal schedules at Amion! Send secure texts direct from Amion and via the mobile app. Chosen by healthcare systems, military and VA hospitals, teaching hospitals and clinics throughout the US.